The famous manufacturers of computers, Dell has announced the launch of its Latest Dell XPS 420 premium multimedia desktop PC that will go to compete with HP (Hewlett-Packard) and Apple for the multimedia enthusiast. 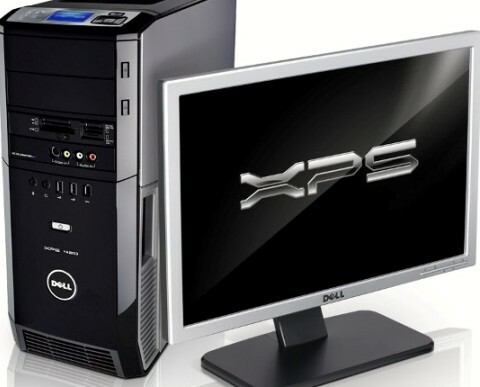 Furthermore, the new Dell XPS PC is also able to convert the videos to a format suitable for sharing and uploading to social networking sites such as Youtube, with Dell’s Xcelerator technology. Besides, the new Dell XPS which comes with an 20-inch LCD display is also the first desktop PC from any major OEM to feature Microsoft’s Windows Sideshow technology, aiming to show the user supplemental customizable information. In addition, these PCs also comes equipped with pretty cool pre-installed Adobe Elements Studio software, which includes Adobe Photoshop Elements 6, Premiere Elements 4 software and Adobe Soundbooth CS3. The new Dell XPS 420 premium multimedia PC that available in 3 configurations including Media Powerhouse, Performance and Productivity and Ultimate Entertainment will available with prices from $1,500 to $2,500. Apart from that, Dell has also announced its all in one printer and 20 inch LCD monitor (SP2008WFP) with a built-in webcam and microphone. Both of them are available now for $149 and $280, respectively. Check Dell’s official site to see more details of latest Dell XPS 420 and other multimedia devices!